Day Four? How did I manage to miss posting about days 2 and 3? My daughter broke her leg and I spent ten hours in the ER in the very same week that my in-laws returned from a two year mission in Ecuador AND two families of cousins came to visit. EEK! You know, I scheduled this blog tour on my spring break from school. My week was supposed to be WIDE open. No matter. If you missed any of the posts from the previous days, you can follow them on the links below. You still have a few more days to enter to win the cute book-lover shoes! The raffle ends March 31st. Don’t forget, if you sign up for my newsletter, you will receive the UNPUBLISHED EPILOGUE in your inbox! Thanks for following the blog tour. I’d love to hear your comments about it. 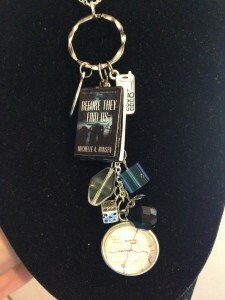 This entry was posted in announcements, blog tours, book release, giveaway and tagged blog tour, epilogue, shoes, Xpresso by michelle. Bookmark the permalink.